Cancer diagnosis in the family has a huge economic impact. For families with children diagnosed with cancer is an enormous financial strain. One of the parents must leave their job to care for the sick child. To make it worst breadwinners who have cancer are often sick and can’t work. This means that household income decreases, the end result is the inability to meet basic daily expenses. The economic burden associated with caring for family member with cancer is substantial. Families were sometimes forced to borrow money to cover the extra cost of cancer treatment. This financial strain can have a long-term effect on the quality of life and well-being of the entire family. The financial cost of cancer diagnosis and treatment can be overwhelming. Patients and their family spend a substantial amount of money on health care services and they can incur additional cost in treatments. These include direct medical cost associated with seeing GPs, consultants or other health professionals. Other cost associated with buying medication to help alleviate the cancer symptoms and side-effects of treatment. There are out of the pocket expenses in relation to travelling to hospital appointments and accommodation. Increased utility bills from equipment are also common because patients undergoing treatment, or recuperating from surgery, are at home more often than before diagnosis. The cost of cancer treatment can be difficult for many patients and their families. A cancer in the family can lead to debt, bankruptcy and financial ruin no matter what their earning power is. There are many paths to take but they all lead to loss of all resources. For many families they cannot remain debt-free, they are forced to borrow money to make ends meet. Some of the parents have turned to high interest, short-term loans to cope with the cost of treatment. Debt piles up quickly, and soon patients or their family find themselves filing bankruptcy. A study showed that medical bills from cancer is one of the leading causes of bankruptcy. People with cancer in the family are two and half times more likely to go bankrupt, compared with those without cancer. People in any walk of life can be vulnerable to experiencing financial difficulties as a result of cancer diagnosis in the family. Reduction in income coupled with additional costs of treatment has wide-ranging consequences for both the cancer patients and their families. This increased financial strain can cause depression, anxiety or emotional stress. Families with cancer patients should asses their finances and insurance coverage. They need to talk to their financial counsellor and talk to their doctor to learn less expensive treatment options. Family should develop an action plan for managing cancer cost that may result to medical debt. Insurance needs to be evaluated and healthcare providers should be asked if they provide financial assistance, discounts and extended payment plans. Knowing how your insurance policy handles expenses will help you make choices that can keep cost down. Contact social workers to ask for help in assessing finances and applying for aid. 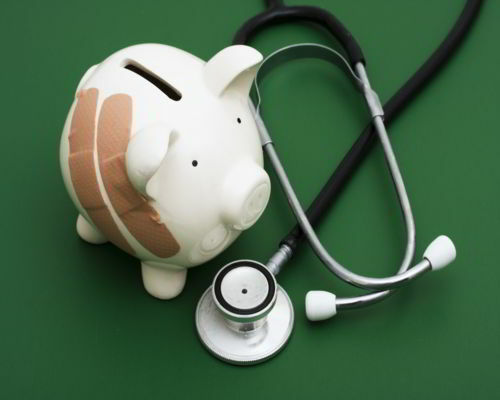 Ignoring medical bills can cause complications such as ruined credit. Reaching out to government leaders can help identify local, state or community services. Don’t be shy about asking for aid, public agencies and outside groups can extend financial assistance. Find information and support at cancer societies and associations in your area. Horse Cancer: Any Medical Clues For Us Humans?